Athletics were very important to the all-female student body of Alabama College. In fact, sports have played an important role at the institution since it's 1896 founding. The competition provided an outlet and a chance to bond at a place ruled by strict administrators in a geographical isolated location. One sport, volleyball, has been a fixture on campus for a number of years. The school welcomed the game as an officially sanctioned program in 1972. The teams of the late 1970s and early 1980s became a force in their conference and league, notching serveral 40+ win seasons. 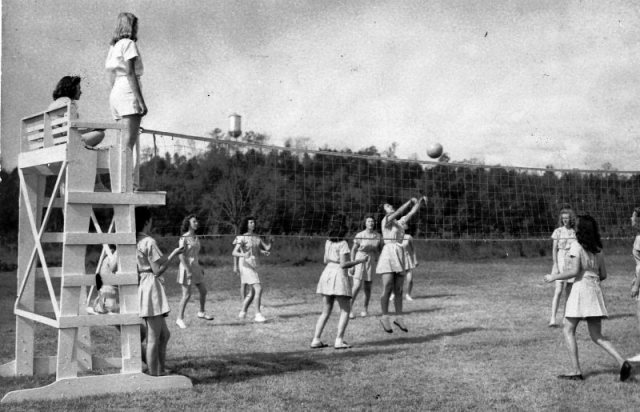 However, campus volleyball can trace its roots to early intramural competition. The 1947/48 course catalog lists "volley ball" as a freshman orientation activity, a "Recreation Association" endorsed sport, a 1hr. Physical Education 100 offering, and as a 4hr. Physical Education 361/362 Coaching: Team and Indiviual Sports course. A confluence of factors brought higher education to Montevallo toward the close of the 19th century. These included the town’s location at the center of the state, a rail line, buildings empty and ready to be used, the need to educate young women for practical and technical careers, motivated merchants and townspeople, and some legislative assistance. All of these came into play by 1893 when the Alabama State Legislature passed a bill to establish the Alabama Girls’ Industrial School (AGIS). . While the early curriculum did focus on technical skills such as typewriting, dressmaking, and scientific cooking, the school’s leaders wisely broadened the coursework to include English, History, Art, and Mathematics. Enrollment quickly rose to over 400 by 1900, requiring many young women to live off campus until adequate dormitory space could be built. 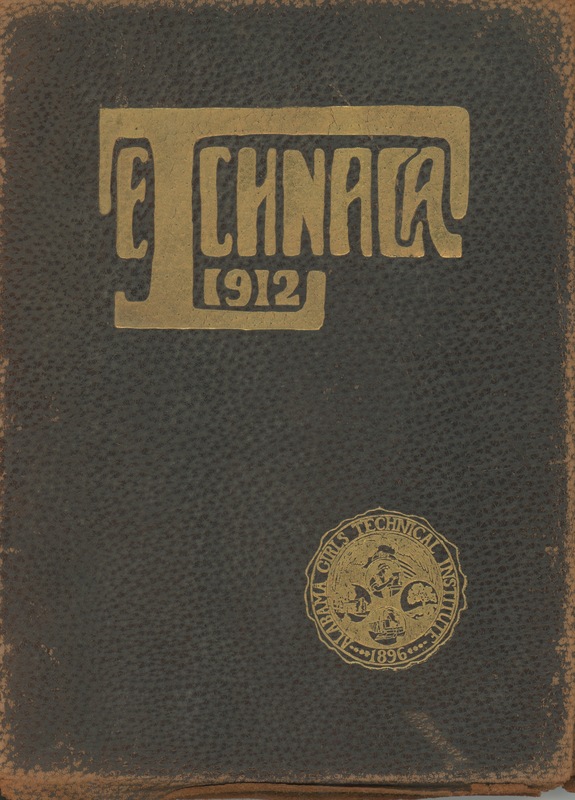 A second phase of growth began in 1910. 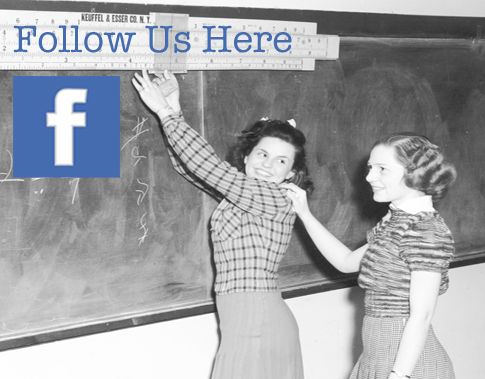 The president moved and the Board of Trustees agreed to change the name to the Alabama Girls’ Technical Institute (AGTI), starting in 1911. Four new buildings arose in the next decade, providing more space for classes and campus services. As the state of Alabama required more teachers, the institution responded, providing certification for its graduates as the decade came to a close. Continuing this growth and academic transformation, the institution became Alabama College in 1923. By 1955, facing declining enrollment, the president and board made a crucial decision: the college would allow men to attend in the fall of 1956. This change and the fruits of the baby boom in the 1960s witnessed all-time high enrollments at the school and another massive wave of campus building. 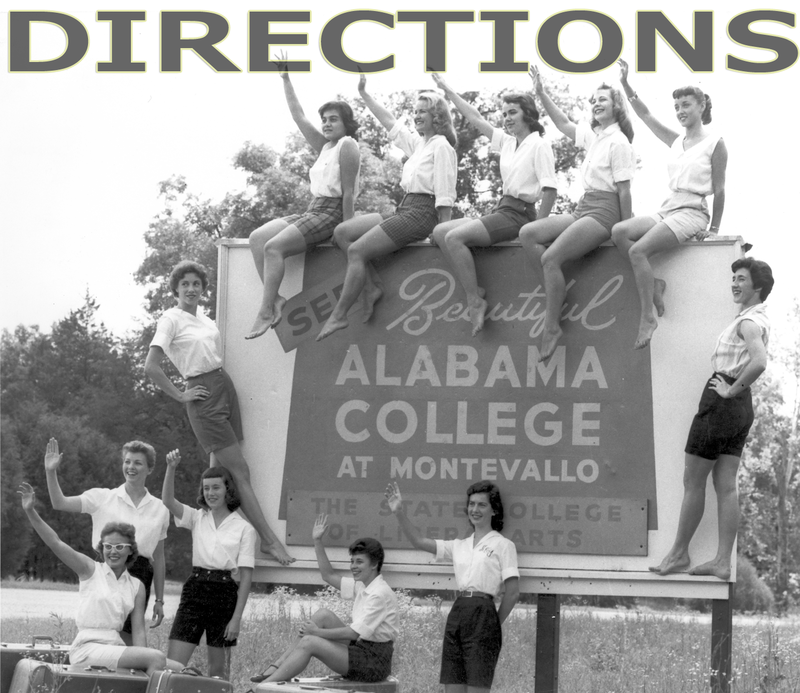 Montevallo, from its founding to the 1940s, witnessed a transformation that took the tiny village through several stages. Early on, because of the richness of the land, Montevallo thrived as an agricultural center. With the building of railways and the nearby discovery of coal in the 1870s, the economy began to shift to mining. By 1900, education and services began to challenge agriculture and mining as the dominant employers. These images reflect some of those changes. Montevallo, fortunately, preserved several structures from this era, and many of these photographs reflect their enduring architectural legacy. Victorian-style houses dominated the town up to the early 1900s, as did Victorian-style dress. The automobile came to Montevallo at this time and transformed the town as the dirt streets slowly gave way to paved roads. While the Great Depression affected Montevallo, the community could rely on education, agriculture, and Works Progress Administration projects to ease the pain of economic dislocation.